I hope everyone enjoyed their summer vacation or sadly if you didn't get a chance to have a summer vacation(like me), I hope you still had amazing fun during this summer sunshine outdoor. There is still a little bit of summer left here in NYC, but i think the heat is starting to go down a bit and some makeup lovers out there are just eager to bring those bright dark lip colors back into play. Here is a look I have been loving for the past few weeks to have as well as the love for these amazing products. 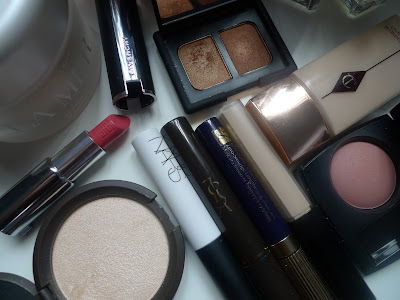 Starting off the base with my love for YSL Touche Eclat Blur primer (sadly not in the photo) providing a great base to help everything else stay on. 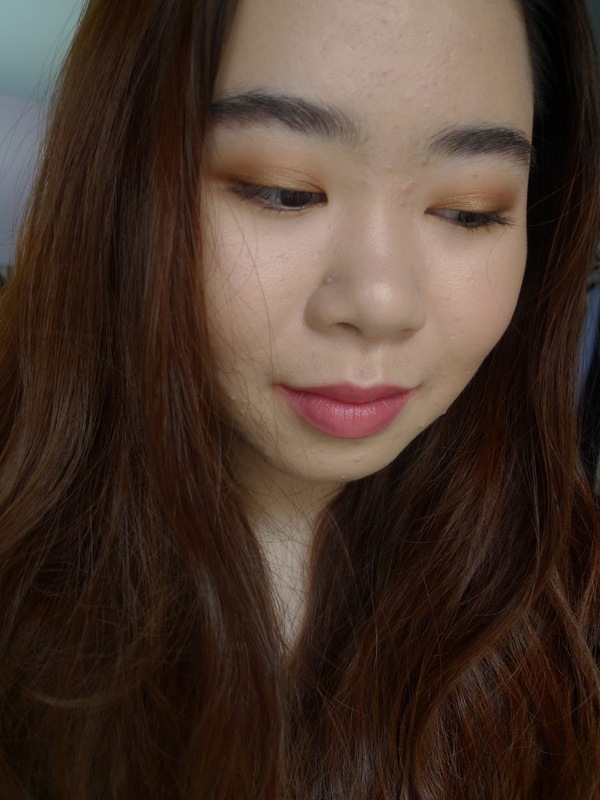 The Charlotte Tilbury Light wonder foundation is giving the skin that light but great coverage and amazing glow to the skin. A bit of Chanel perfecting concealer will help cover the blemish and undereye really well. Lamer the Powder will help set everything in place to last the day while layering that gorgeous glow. The amazing Nars primer is going to help the beautiful Nars duo eyeshadow in Isolde last beautifully all day and into the night. I use the left frosted ginger color all over the lid and whatever is left of the brush in the lower lash line. Just a bit of right copper color in the outer corners which help blend everything together beautifully. A bit of Chanel blush in 68 Rose Ecrin and Becca moonstone will add a bit of color and light to the cheeks while YSL brow gel and Estee Lauder double wear zero-smudge lengthening mascara help finish the eyes. Lastly, Givenchy le rouge lipstick in 202 finish the look. I hope you enjoy reading and found new products for your wish list!! !